Nannie May Loftin was the first child born to Alonzo Lester Loftin and Cornelia Estelle Lowrance. Nannie was born 08 Nov 1895 in Catawba County, NC. She was infant baptized on 19 Oct 1897 at the Catawba Methodist Church. 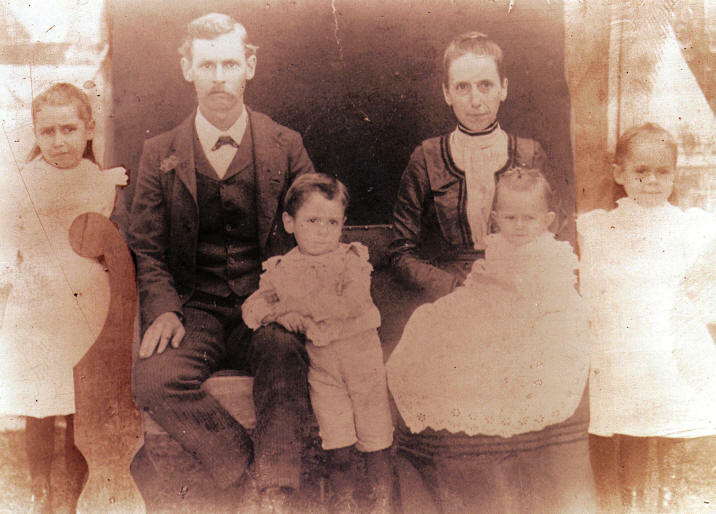 When Cornelia died form pneumonia on 11 Feb 1904, most of their children were sent away to live in an orphanage. Nannie Loftin, age 15, is listed on line 11 on the 1910 McDowall County Census as residing at the Elhanan Training Institute as a student. Nannie married Wade Vernon Martin in 1915 and spent the first few years of their marriage in Gastonia, NC. 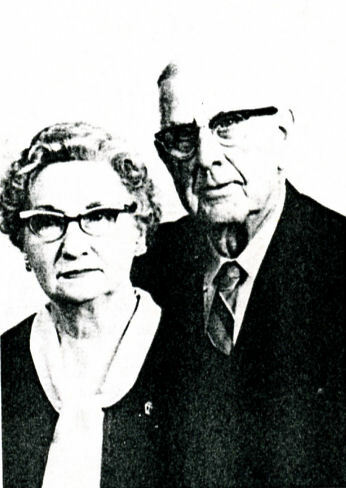 Their first daughter, Cornelia Lucille Martin, was born 29 Dec 1915. According to the 1920 Gastonia City Census, Wade & Nannie were renting a house there. At the time Wade was 25, Nannie was 24, and their daughter Lucille was 4 years old. Also living with them were all of Nannie’s younger sisters, Lillie 22, Floye 18 and Verdie Lee 16. Roy was living nearby. 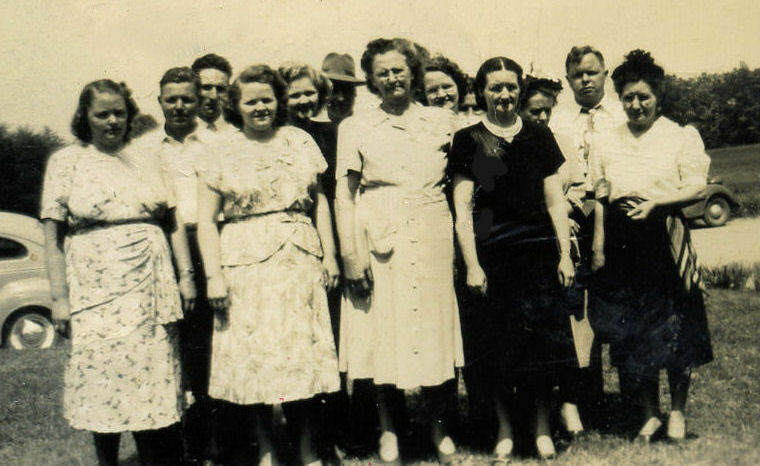 Wade was managing a shop, Lillie and Floye were working as telephone operators, and Verdie Lee was working in a hosiery mill. Wade and Nannie soon returned to Newton and moved into a house on West C Street where their second daughter, Nancy Wadine Martin, was born 14 Mar 1930. Nancy Wadine Martin 14 Mar 1930 Howard Alexander Smith Jr. The family eventually moved into a large two-story, white-frame house on North College Avenue, just two blocks up from the court square, beyond the State Theatre. They lived there for thirty years and the upstairs rooms in Martin’s Boarding House were soon filled with tenants. Nannie & Wade sold the big house in 1964 and moved into a smaller house on South Main Avenue. This was the house where Wade and Nannie spent the rest of their lives. Wade and Nannie were members at First Methodist Church in Newton. Wade died 29 Jan 1975. Nannie died 15 Jul 1982. They are buried at Hopewell Methodist Church, the Martin Family home church, in Sherrills Ford, NC. A special thanks to John Smith and Frances Loftin Cook for the photos of Nannie. If you have additional photos or information on Nannie May Loftin, please contact me.